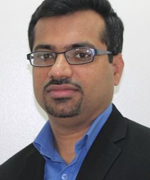 Sujay Honnamane is an accomplished IT leader and portfolio director at Cognizant Technology Solutions. He has played several roles from developer, project lead, project manager, and program director to portfolio director helping several of Cognizant’s clients implement successful transformation programs and establish world-class testing centers of excellence. A thought leader in global delivery and establishing managed test centers, Sujay has expertise in test consulting, test automation, and DevOps strategy. An avid reader, blogger, and speaker at industry conferences, he has a strong orientation toward leadership, teamwork, adaptability to change, and innovation. Connect with Sujay through LinkedIn or [email protected]. As IT organizations adopt a DevOps strategy, continuous testing (CT) becomes a key ingredient of the DevOps ecosystem. CT enables faster release cycles, more changes per release, upfront isolation of risks, and reduced operations costs. The approach to scale the traditional automation testing infrastructure, test environments, and test data management requires a culture shift using new tools and techniques. Sujay Honnamane discusses a CT strategy for aspiring and already implemented DevOps organizations. Sujay shares examples of tools, techniques, and practical solutions that include continuous integration using the Jenkins CI server, service virtualization through CA Lisa tools, automated code coverage analysis to create impact-based tests, automated test script load balancing for effective use of test environments, and faster test cycles, providing a holistic approach/workflow for CT. Sujay and his teams have successfully implemented CT for several clients in their DevOps journey to achieve a repeatable and highly predictable software delivery process.